Purchase this product now and earn 3,600 Reward Points! 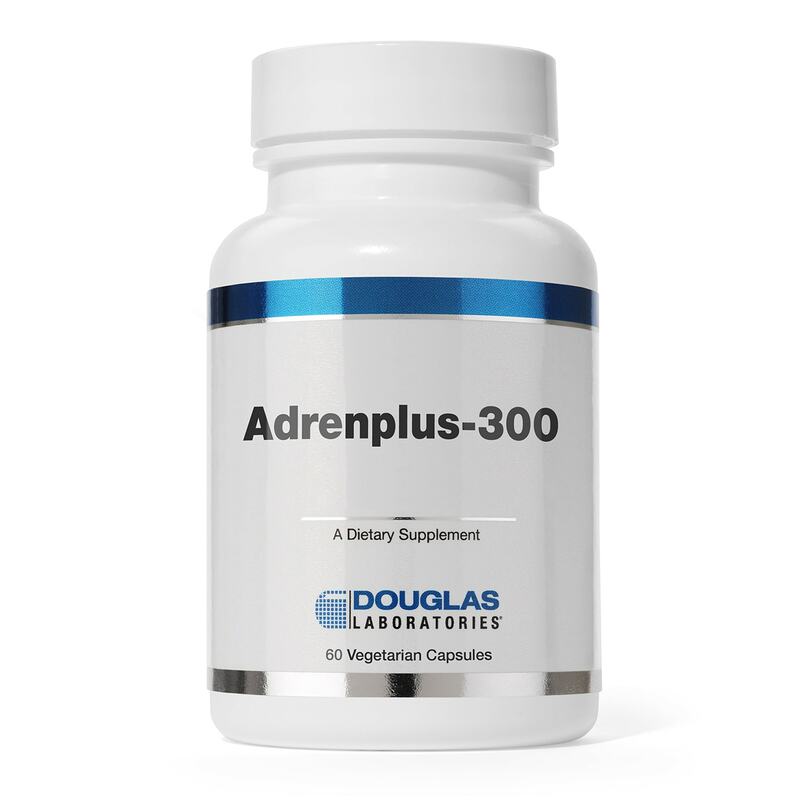 Adrenplus-300 supplies a combination of vitamins and minerals needed to maintain good health, plus adrenal and spleen glandular concentrate. The adrenal glands are endocrine glands located above each kidney. They are responsible for producing three types of steroid hormones (mineralocorticoids, glucocorticoids and androgens) as well as the catecholamines adrenaline and noradrenaline. The spleen is located in the upper-left part of the abdomen and its primarily role is filtering blood. 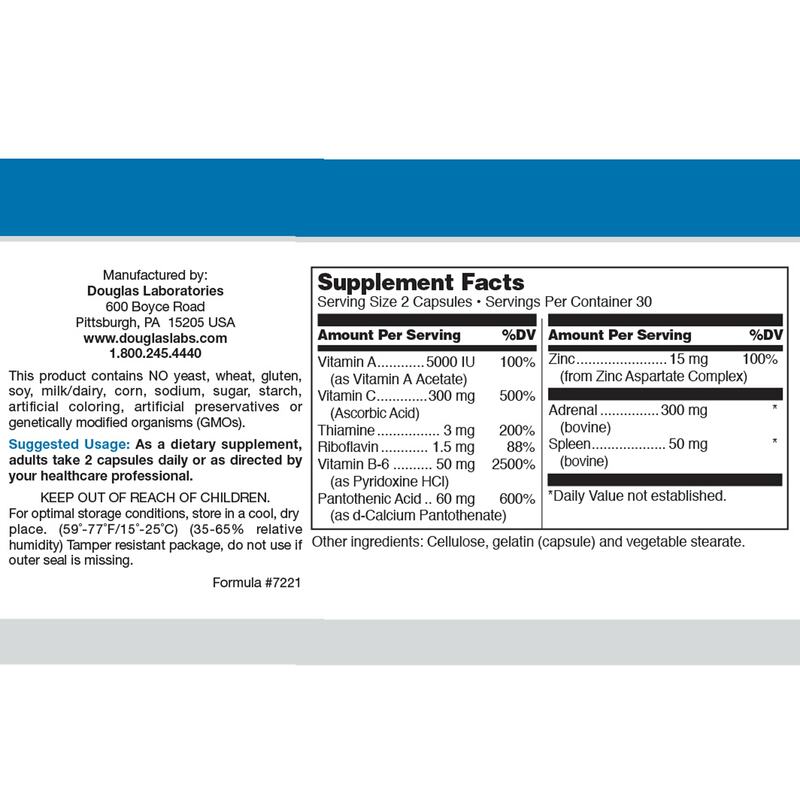 As co-enzymes, B vitamins are essential components in most major metabolic reactions. 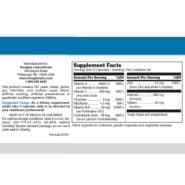 They play an important role in energy production, including the metabolism of nutrients. B vitamins folate and B12 are also necessary for blood cell formation. Zinc is an essential trace element required for the activity of over 300 enzymes and is involved in most major metabolic pathways. Zinc participates not only in catalytic processes, but also in the structure and stability of regulatory proteins. Vitamin A plays a critical role in maintaining eyesight and night vision through its role in the formation of the retinal pigment rhodopsin. Both zinc and vitamin A help maintain skin and immune health. 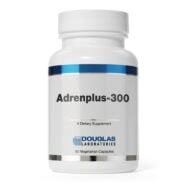 The adrenal glands contain some of the highest vitamin C levels in the body, and may require the antioxidant vitamin to quench free radicals produced during steroidogenesis.